L.P. International is your ONE STOP GLOBAL SHOP FOR fabricated tubing, tube bending, tubular assemblies and components; all your tubing needs! L.P. International has facilities for both your domestic and offshore tube bending and tube fabricating requirements. 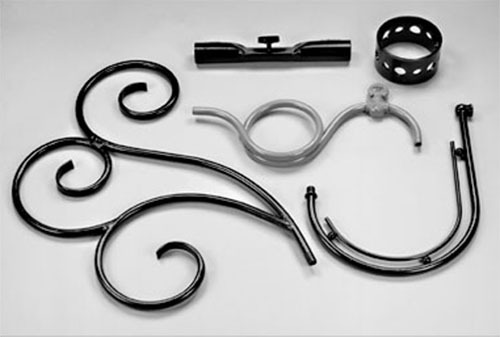 Whether it’s Complete Tubing Fabrication, or components requiring Secondary Operations like tube bending, tube threading, tube beading, tube collapsing, tube drilling, tube taping, tube welding, long or short run; L.P. International is your source for finished and unfinished tubing components and assemblies. A wide range of tubing materials such as cold rolled steel, stainless steel, copper, brass, iron and aluminum are available. We service OEM Manufactures with tubing components and turn key tubing products. L.P. International specializes in developing tubing products in the USA and abroad to offer customers a choice when sourcing existing items in their line or developing new products. When working with L.P. International the customer has the advantage of factory direct service, engineering, product design, development and material sourcing.